A keen sense of discipline, professionalism and poise is what keeps a man of his stature going. From wiring the entire country with Reliance Jio to driving for growth and global leadership in energy, Mr. Ambani has written a success story which is getting better with time. Mr. Ambani is an exemplary entrepreneur carrying forward the legacy of excellence. Mr. Ambani carries a reputation of playing a pivotal role in taking Reliance Industries to the zenith of accomplishment in his illustrious career. Despite having a stiff competition with others in the fraternity like Tata’s, Birla’s etc, Mr. Ambani never failed to surprise everyone with phenomenal feat. A believer in game-changing businesses of the future, Mr. Ambani is a man who innovates masterpieces while challenging conventional wisdom and spotting opportunities quickly. He is a task master who is loved by his team, for the sense of belongingness that he renders to each and every individual working for his brands. He splurges on each and every product and the services launched by the company, making him a dreamer who is also realist. He has the art to foresee huge opportunity in transforming the agriculture sector through Reliance’s retail business, which has a unique value and supply chain model – famously referred to as the ‘farm-to-fork’ model. His varied business models like education, finance, retail, healthcare, telecom conforms to the spectacular giveaways associated with his products. It was 2010, when Mr. Ambani inaugurated the biggest grassroots petroleum refinery plant in Jamnagar. This proved to be a stepping stone in the brand to reach new heights. It was this initiative that raised the manufacturing capacity of Reliance’s Petrochemicals to grow substantially. Mr. Ambani has been pinning down success in almost every sphere he ever has tried his hands on. Continuing to march on the path of incessant prosperity, many he is an inspiration to millions of young minds who want to achieve high in life. For years together, Mr. Ambani has been able to keep both investors and shareholders happy, it is his humility and sense of being grounded that best explain his unmatched phenomenon. This plays a pivotal role in him being at the top of his game for decades. And though business remains his first love, he never lets his family down. The Radiating Effect Much like his poised persona and diversified operations in varied industries, Mr. Ambani’s vision and thoughts firmly belong to the future. Having massive investments in his petrochemicals empire, whose cash flows give him the firepower to promote and expand his new fourth-generation mobile service. Mr. Ambani has high hopes to turn the network into a payments gateway. Reliance’s biggest advantage is its balance sheet. During the pre2008, liquidity-fueled boom for Indian businesses, Mr. Ambani stayed away from expensive deals of the kind that have returned to haunt India Inc.
His ever booming flagship brand, Reliance Jio snagged 50 million mobile subscribers in 83 days. Jio’s network covers 18,000 cities and towns and 200,000 villages. By March, it hopes to cover 90% of the population. Ambani said he has set a target for the Jio team to reach 100 million connections as quickly as possible. Jio employs 60,000 people with the average age of 30. Among its youngest employees are Ambani’s 24 year-old, USeducated twins, Isha and Akash who were present at the meeting. As they say, there are only three things which are certain: Death, Taxes and Competition, very clearly Mr. Ambani has swiped out competition from his terrain. What Ambani has managed to do is to push down per-user revenue for his competitors, which have been forced to cut prices. There’s still no evidence he’s taking market share away from Bharti Airtel Ltd., Vodafone Group Plc and Idea Cellular Ltd. Regardless, the trio are guaranteed an uneasy 2017. Secretively Mr. Ambani’s Reliance Industries had taken a 14.12 per cent stake in East India Hotels (EIH), the company which runs the Oberoi and Trident chain of hotels; it became clear that this would be one long and interesting story surrounding a company which has been at the forefront of India’s hospitality industry. With several intricacies involved, it is completely right to believe that Mr. Ambani came in as a white knight for the Oberois, who have been living under the shadow of an open offer threat from rival ITC. Having assiduously built up the company into a major player in the luxury hotels space, it was always unlikely that the Oberois would give up control of the company in a hurry. A counter-strategy to ITC was always in the offing. What has surprised most in corporate circles is the identity of the white knight. POWERED BY FAMILY His marriage is not a lesser known fact to everyone around. His young and vivacious children are doing well in life. Like several other businessmen, Mr. Ambani is also grooming his children to come forward and take charge. 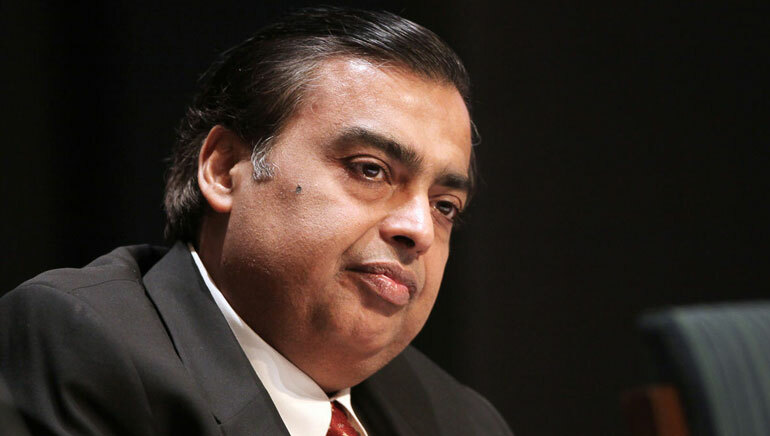 In the recent past, the boards of Reliance Jio Infocomm and Reliance Retail Ventures, the telecom and retail units of Ambani’s Reliance Industries, approved the appointment of both Isha and Akash ambani as directors on their boards. The US-educated twins are the eldest of Ambani’s three children (the youngest Anant is studying in the US). While Akash is an undergraduate from Brown University where he majored in economics, Isha is a Yale University undergraduate with double majors in psychology and Asian studies. Akash has already begun working at the telecom arm in Mumbai, whereas Isha was a business analyst at McKinsey & Company and is reportedly likely to get involved with the retail business. It will be good to see young minds helping their father reach new heights of success. From a very young age, Mr. Ambani knew that he belonged to the business world. He credits his early exposure to business to his father, who introduced him to the best practices. With him diversifying in different sectors of operations, Mr. Ambani never skipped a bit of keeping it utmost stylish. He has often hogged headlines for his lavish lifestyle to residing in one of the most valuable property called Antilia. Though his house has been a subject of discussion for nearly five years; every aspect of it has been scrutinized the land deal, the helipads, the green status, and the parking lots. The effect the building has on people around it Mr. Ambani never lost his calm reading all what is written about it and rather appreciate individual’s work.